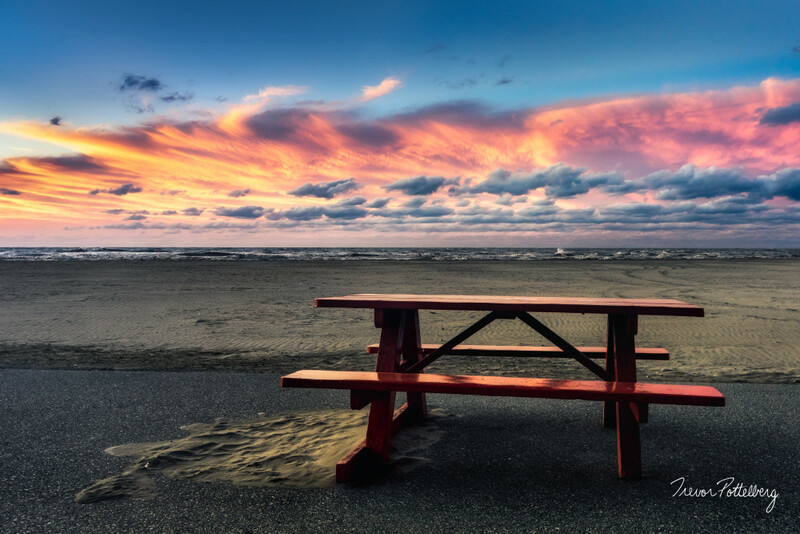 “A Place to Reflect” - by Trevor Pottelberg, features a lovely picnic table overlooking a mid autumn sunset on the sandy shores of Lake Erie. This image was captured on my birthday as I was leaving the beach after a day of shooting waves. After I had captured this scene, I stopped for a minute to take in all of the natural beauty that surrounded it. From the patterns in the wind driven sand, to the massive waves crashing into the shore to the gorgeous cotton candy skies above. My appreciation for nature grows every time I venture out. We all need to take some time out of our busy lifestyles to soak in the beauty of Mother Earth!